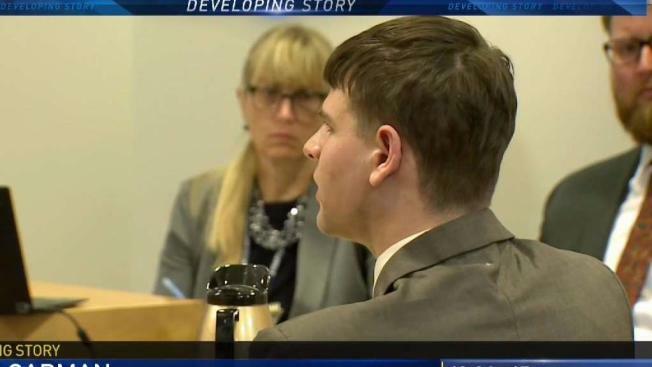 A Vermont man accused by family members of killing his millionaire grandfather and possibly his mother in an attempt to collect inheritance money appeared in court in New Hampshire on Tuesday morning, denying all of the accusations made against him. A Vermont man accused by his family of killing his millionaire grandfather and possibly his mother in an attempt to collect inheritance money offered few clues in court regarding the deaths or his possible role in them. 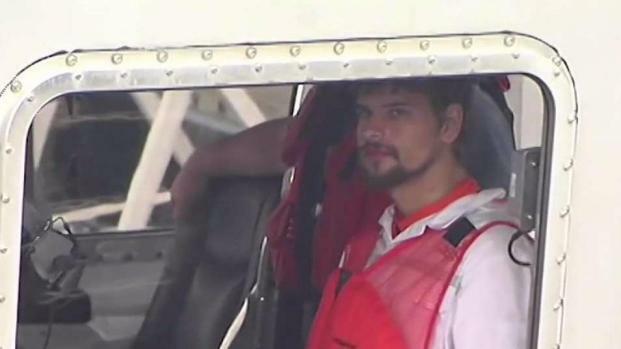 Nathan Carman, who fired his attorneys earlier this year and represented himself on Tuesday, came off as composed but a little awkward for most of the 90-minute hearing. Afterward, he walked stiffly past reporters without answering questions and drove off in a beaten-up Ford Focus. Lawyers for Carman's family were hoping to compel him to provide documents related to a semi-automatic rifle he bought that was similar to one used in the 2013 shooting death of his grandfather, real estate developer John Chakalos, in Connecticut. Carman said in court Tuesday that he has never told law enforcement authorities that he lost the gun, as was indicated in an application for an arrest warrant in the shooting death of Chakalos. The warrant was not approved by judge. A Vermont man accused by family members of killing his millionaire grandfather and possibly his mother in an attempt to collect inheritance money is due in court in New Hampshire. "I have never claimed that I lost the [Sig Sauer rifle]. I plead the Fifth for reasons unrelated to the murder of my grandfather, but because of firearms laws in Connecticut," Carmen said. The family also has sought answers related to the 2016 disappearance of his mother, Linda Carman, who went boating with him near Rhode Island in 2016. She's presumed dead. Carman has denied any involvement in either death. Along with the Rhode Island case, Carman and the insurer for his boat, the Chicken Pox, are fighting over his insurance claim in a Rhode Island court. In the New Hampshire case, Carman has invoked the Fifth Amendment in refusing to provide bank, tax and other financial records. He said Tuesday he couldn't provide the records because he didn't have them or felt they were irrelevant. He came up with a variety of reasons, including he hadn't filed taxes and no longer had bank accounts dating back several years. Judge David King said Carman could be compelled to provide the information but said he would take the request for documents under advisement. He told Carman the family's attorneys could depose him and he could be called as a witness in the case. In July, Carman's mother's three sisters filed a lawsuit in New Hampshire accusing him of killing his grandfather and possibly his mother. They have asked a judge to block him from collecting money from his grandfather's estate. Chakalos left more than $29 million to his four daughters, and as Linda's only heir, Carmen could receive $7 million of that. Last month, Carman denied playing a role in the deaths and accused several of his relatives of "being driven by malice and greed" and spreading lies about him. On Tuesday, he mentioned his grandfather and mother and even referenced the fact he was suspected in their deaths. But he didn't implicate himself in either case and suggested other relatives could be to blame. "My concern, it's not the money," Carman told the court. "It's not so much even my freedom. It is my reputation and seeing I have a future going forward ... I am very concerned about protecting that future." After the judge said he was concerned Carman was representing himself in a "murder case" in which "the stakes are pretty high for you financially," Carman said he would get new attorneys. Carman said to fund the new legal team he had put his three-bedroom house on the market. The house is listed for $149,000. Carman accused his previous attorneys of lacking basic competence and the time needed to devote to the case. He also said he was worried they could not ensure the best outcome. Small said Carman's comments were just another example of him crafting fresh stories to avoid producing documents and answering questions. "I came away sensing that he is making up a new round of stories," Small said. "It's like the carnival whack-a-mole game where the moles keep coming up and you have to pound them down. That's sort of what is going on here with Nathan inventing new stories." Small called Carman's implication that other relatives were behind the deaths a "terrible and offensive statement" and said he found it interesting Carman would bring up the deaths and the possibility of being involved.